Lol! I love these books. I saw this at one of the local tourist shops where i live! it looked so good! Here's crossing my fingers i win, but i won't actually need it on my wedding day! Getting married in May and I need all the help I can get! BTW, I love your blog and the book looks great! I love these books, by the way. The college one is hilarious. me, please! this book sounds brilliant. wow! this book sounds great! such a hoot! I love these books and this one looks like it would be the best one! :) thanks for holding this contest. we, obviously, all love 'em! 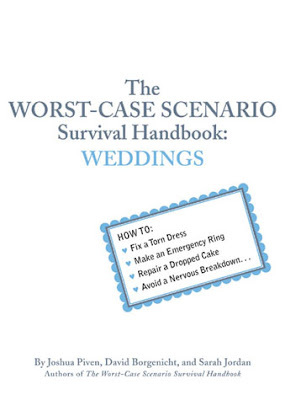 I have been having pre-wedding nightmares the past few weeks....perhaps this book will help cure them.